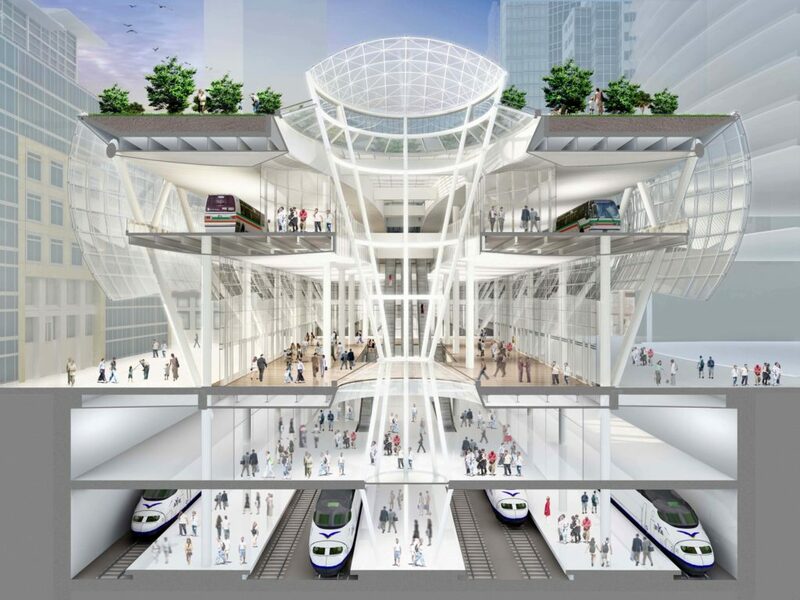 The engineering consultancy team behind San Francisco’s new $2.2 billion Salesforce Transit Center, the ‘Grand Central Station of the West,’ relied on Oasys MassMotion for pedestrian planning, extreme events evaluation, pedestrian modelling, and predictive route planning. With the potential to process up to 20,000 bus passengers in one hour, it spans four city blocks and provides intercity, regional, and commuter bus services for five major transit providers at the ground and bus deck levels. Meanwhile, underground there are three 1,300 foot long train platforms, which Transit officials plan to connect it to Caltrain, the Bay Area’s commuter rail services, and to California’s High Speed Rail link to Los Angeles. It replaces an old terminal that was described as “seismically deficient’ by the Country Transportation Authority. 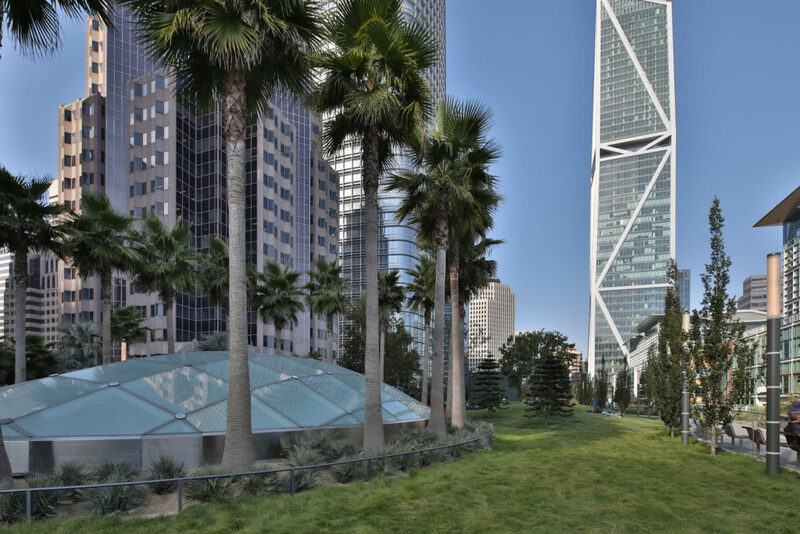 The striking white building snakes its way through the city’s downtown, and the complex promises to provide welcome improvement to San Francisco’s notoriously clogged transportation systems. MassMotion with its adaptive route choice algorithms, and origin and destination matrices capable of predicting pedestrian utilisation of complex networks, eliminated the need for transportation modellers to enter route choice splits for junctions, which would have been nearly impossible due to the significant number of routing options within the building and surrounding neighbourhoods. 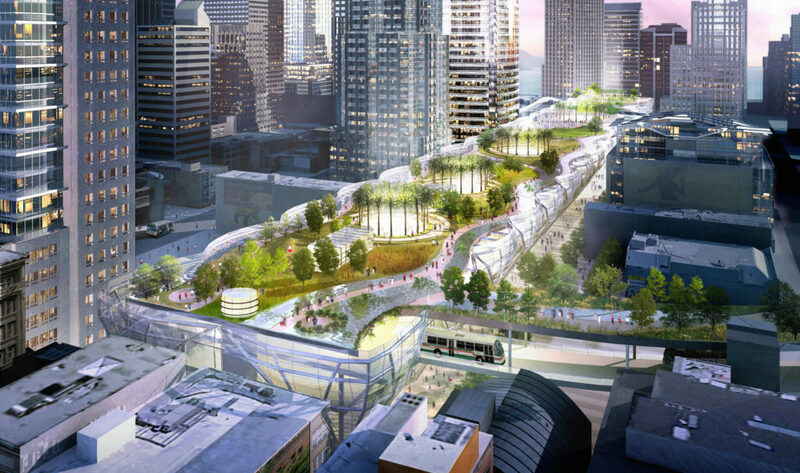 Arup, as part of the Richard Rogers Architecture/SMWM team, was selected by the Metropolitan Transportation Commission to prepare the Transbay Terminal Improvement Plan. The Arup team began work on concept validation in June 2008 and provided complete engineering design, as well as bid phase and construction administration services though project completion. In total, Arup provided complete civil, geotechnical, and bridge/highway engineering design services, as well as transport and pedestrian planning, extreme events evaluation, pedestrian modelling, fire and life-safety review, tunnel ventilation design, and rail coordination for this landmark addition to San Francisco’s mass transit infrastructure. As part of their work, Arup, proposed design changes to the pedestrian pathways by altering the MassMotion 3D model and allowing the simulated pedestrians to adapt automatically, therefore helping the client save money by preventing changes that otherwise would of been required after construction. MassMotion encouraged rapid exploration of design alternatives, and its output were used extensively for communicating complex operational conditions across the multidisciplinary design team.